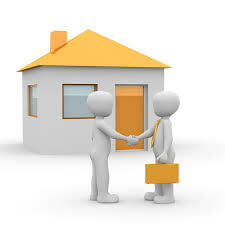 We advise many clients who are both experienced property investors and those who are new to the buy to let market. We will not only guide you through the legal process but will advise you on practical matters too. We take a no nonsense practical approach. This means you can be reassured we will get the job done to suit your requirements. We are experienced in all types all buy let investment transactions, including auction purchases, where having a conveyancing solicitor who will deal with your matter speedily is essential. Practical tips to maximise your buy to let investment. Buy to let involves investing in property with the expectation of capital growth, with the rental income from tenants covering the mortgage costs and any outgoings. You need to have an eye on your costs at all times. Remember that, first and foremost, a buy to let property is a long term investment and your goal is to maximise your income. A buy to let investment is very different from owning your own home. When you become a landlord, you are effectively running a small business. Although buy to let can be a good investment there are also risks to consider too. It’s really important to make sure you’ve got your sums right and thought about everything renting out a property entails before committing to a mortgage and becoming a landlord. The likelihood of capital growth, what is the state of the property market and the outlook for property prices? What rental income you can expect to achieve? Compare this to your financing and running costs – consider building in a buffer, just in case interest rates were to rise. The costs that need to be covered for void periods when your property is empty, and therefor no income! If you are financing the purchase with a mortgage which will be secured on the property, you must arrange a mortgage that allows you to let the property out. Always take legal advice at an early stage, this will allow us to assess the paperwork and help you decide whether a property is suitable for investment. Our service is respected and highly regarded amongst both professional bodies and clients. We are panel members of all major lenders (and many smaller ones too). 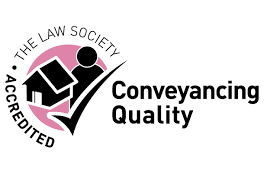 We have the accreditation of the Law Society Conveyancing Quality Scheme which is the recognised quality mark for conveyancers. For an initial discussion about your buy let process, with no obligation, call 0191 466 1444 and ask to speak to our expert solicitors or complete our online enquiry form today.